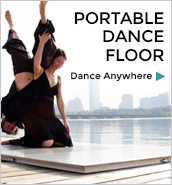 Your dancing deserves the highest quality documentation. Whether you are taping rehearsals and performances, making a promotional reel, or creating video samples to go with grant applications and auditions, Boston Dance Alliance has a high quality solution. Rent the BDA’s (HD) Canon VIXIA HF R100 video camcorder and tripod by the day or by the week. Reservations are made on a first come, first serve basis. Rent the HD Video Camera.